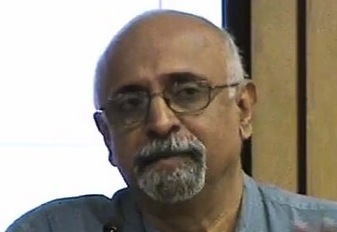 In an open letter to the board of trustees of India’s premier research journal, “Economic and Political Weekly” (EPW), some of India’s most well-known intellectuals have termed its decision accepting the resignation of EPW editor C Rammanohar Reddy as “unfortunate”, praising him for “dedication, personal sacrifice” and “an extremely successful Editor”, and saying that he has had to part “in an unhappy and ungracious ways”. As many as 101 signatories as “members of the EPW community” – including Montek Singh Ahluwahlia, Former Deputy Chairman, Planning Commission; Ramachandra Guha, historian and writer; Irfan Habib, historian; Christophe Jaffrelot, Director, CERI, Universite Sciences Po, Paris; N Ram, Chairman, The Hindu group of newspapers; and Yogendra Yadav, Swaraj Abhiyan – insisted that the board should reverse its decision. Top social scientist Jean Dréze, a close associate of Nobel laureate Amartya Sen, said, "Apropos today’s letter to the board of the Sameeksha Trust, signed by 101 eminent scholars, this is to clarify that I share their concerns and resigned from the board on this issue some time ago, with effect from March 31, 2016." “We understand that the Board had questioned the appropriateness of his efforts to produce a set of volumes and a documentary to commemorate the completion in 2016 of fifty years of the journal’s existence, even though he had organised the required funding from outside”, the letter says.